“The new [Nautel Vector NDB] systems have a more modular design and are full solid state. 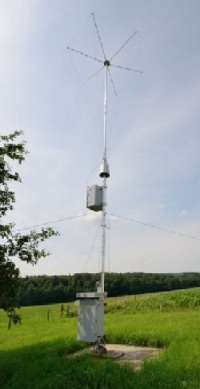 Antenna with Nautel Automatic Tuning Unit (Berg). A non-directional (radio) beacon is a radio transmitter at a known location, used as an aviation or marine navigational aid. As the name implies, the signal transmitted does not include inherent directional information, in contrast to other navigational aids such as low frequency radio range, VHF omni directional range (VOR) and TACAN. NDB signals follow the curvature of the earth, so they can be received at much greater distances at lower altitudes, a major advantage over VOR. However, NDB signals are also affected more by atmospheric conditions, mountainous terrain, coastal refraction and electrical storms, particularly at long range. 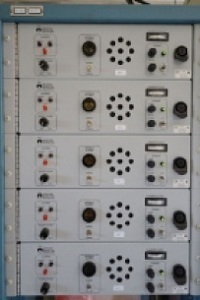 Rack with fully redundant Main/Standby Nautel NDB transmitters and system control unit (Berg). NDBs are used to support en-route and TMA navigation and to support some of the approach and missed approach procedures in Luxembourg airspace. 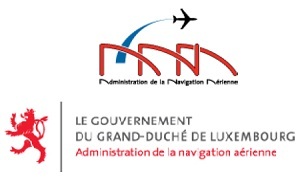 In Luxembourg, five NDBs exist among other Navigational aids such as Instrument landing systems, Distance measuring equipment and VHF omni range beacons. Out of these five NDBs, three had to be replaced [with Nautel Vector NDB Systems]. A project team, under the lead of Gilles Steinmetz, recently finalized the project with a successful Site Acceptance Test, after which the three went into operation. The team was formed with Paul Seidel, Pierre Schweig, Raymond Kirsch, Gilles Andring and Christophe Verwimp. Furthermore, a big task of the project was the safety work which was heavily supported by Dominique Wets. Besides the new [Nautel Vector NDB] systems, the project covered as mentioned the safety work, new cabling, new maintenance procedures, new monitoring and control and a new verification policy. The security measures and the cabins will be completely overhauled in order to have these systems work properly in a state-of-the-art environment during its expected life-cycle of at least 15 years. Recently a decision was made to also replace the last two old brands of NDBs which is to be expected to be executed next year. Which Beacons were part of this project? LW in Hamm working on 404 KHz, ELU at Berg on 368,5 KHz and DIK on Goldknapp near Diekirch on 307 KHz. Why were these systems replaced? 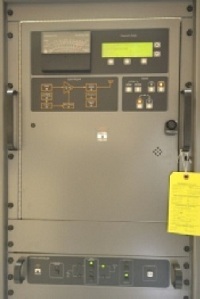 Close-up of Nautel NDB transmitter with system control unit (Berg). The replaced systems were obsolete because of the lack of technical support and lack of spare parts. The systems were far beyond a normal life-cycle, with the age of 23 years the beacons were held alive with some technical creativity. What is also important is that the new [Nautel Vector NDB] systems will bring the advantage of modern monitoring, control and will change the maintenance in a more efficient way. What did the user notice of the replacement? Because of a fluent execution of project plan the operational impact was brought to the bare minimum. In three weeks time all three old systems were decommissioned and the new installed tuned and made ready for operational use. With help of the NOTAM (Notice to Airmen) the pilots were informed that the systems individually were 1 week unserviceable. What is so particular on these new systems? The new [Nautel Vector NDB] systems have a more modular design and are full solid state. This means a more logical architecture, less maintenance, remote monitoring and better spare part management. Advantage is also that these systems are in use in other FABEC countries like The Netherlands and Belgium, which makes exchange of experience easier. How these systems show to users and ATC? Five new Nautel monitor receivers for all NDBs (centre de réception). controller the status information stayed also identical. The ADD presents the status of all NDBs. Behind the scene are the major changes; new technologies on site and a robust monitoring and control system. What work did ANA deliver in this project? Besides the standard project paperwork, ANA delivered the engineering expertise. As well in the suppliers factory as on site extensive tests were performed to check whether the [Nautel] NDBs performed according to the requirements. During commissioning, ANA gave support in the typically engineering side of the work (Measurements, verifications and maintenance). Especially the field measurements formed part of the special technical tasks. What was fun in this project? The co-operation in the project team and the co-operation with the representative supplier were good and professional. Especially to finally replace old obsolete systems to new modern techniques is fun. It will deliver sustainable and reliable information to the airspace users. As engineer it is nice to recognize the positive contribution to the main services of ANA in a direct manner. This project was secured by Systems Interface Limited, UK, Nautel’s Authorized Distributor. Systems Interface Limited successfully completed the installation, commissioning and training for this project in close cooperation with the Luxembourg ANA.